Every vitiligo patient or child's parent will have this question. You have to understand that the chances of recovery or regimentation in case of Vitiligo depend on several factors. Based on our extensive study and research, we would like to share some of our observations with you. It may be noted that the standard medical textbooks do not clearly suggest what we have described on this page, based on our clinical experience. It has to be also noted that we are simply sharing our viewpoint based on a study of over 6500 cases of vitiligo at Life Force. Following notes are simply suggestive and not conclusive as there may be exceptions. e History of family history of Vitiligo or other diseases such as diabetes, hypothyroid, Alopecia Areata, cancer, etc. b Extensive spread. Bilateral affections. 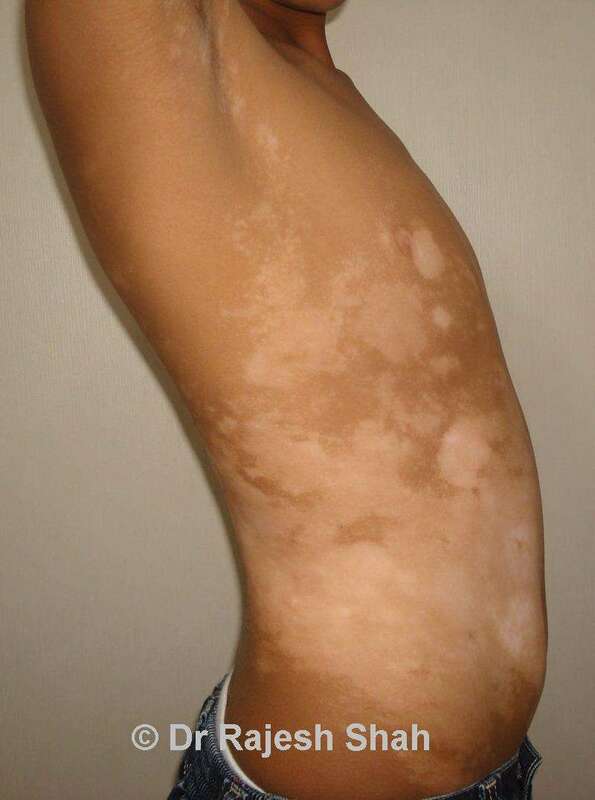 Large patches of vitiligo. e History of family history of extensive Vitiligo or other diseases such as diabetes, hypothyroid, Alopecia Areata, cancer, etc. It may be noted that above information is based on clinical observation. There are many factors which influence the course and treatment of Vitiligo, which is out of the scope of this article. 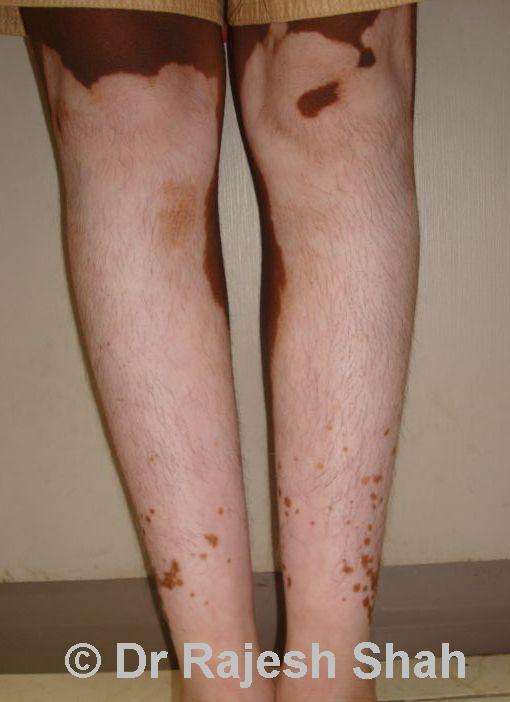 The above remarks give a broad idea to the patients about the prognosis of Vitiligo. 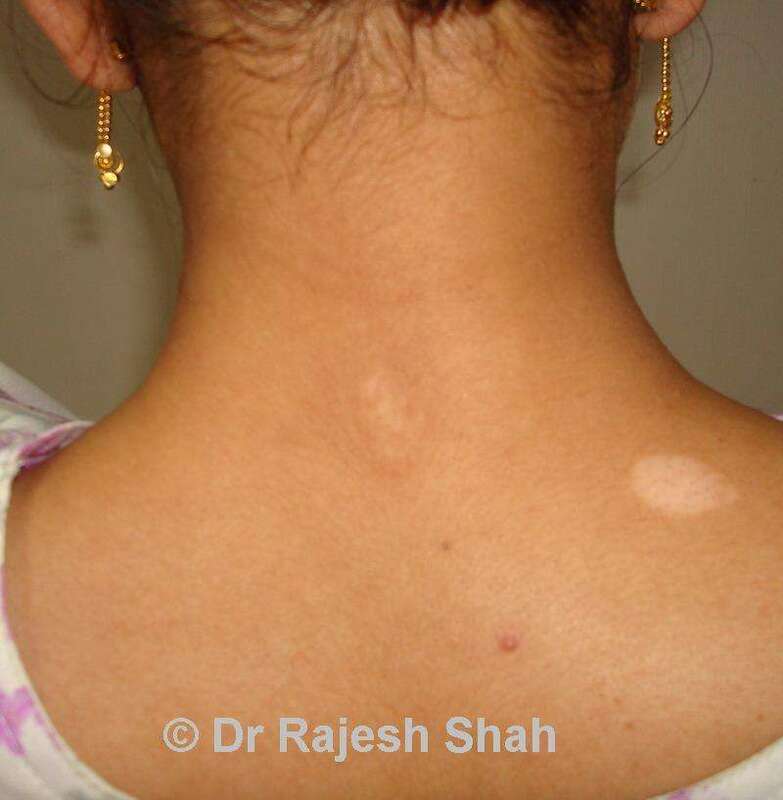 It is not possible to give visuals of all sorts of cases which are either treatable or not treatable; however, just to give you glimpses of the extent + curability, please examine three cases, showing mild, moderate and severer extent of Vitiligo. Mild cases are curable, moderate cases are partly curable and controllable; while severe cases are incurable and controllable, using homeopathy. These images and information are more empirical. There can be many variants and variations. You are also suggested to conduct Vitiligo Curability Test online which will allow you to evaluate your chances of recovery of your Vitiligo.